Help us build a picture of the hazards motorcyclists face on the roads in Northern Ireland by completing the on-line form below. The on-line form will not be sent to Transport NI (formerly known as Roads Service). 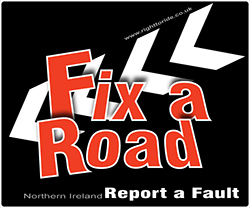 However you can use the relevant details you have logged in the on-line form (a copy will be emailed to you), to report the Road Hazard or Fault to TransportNI. 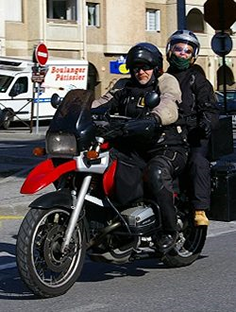 You can also use the Right To Ride – “Hazard Fault Report Form” when you are out and about as an aide memoire if you come across a hazard or fault on the road that you consider is a danger to motorcyclists. If stopping to look or take pictures of a hazard or fault, please park in a safe and secure manner. Do not put yourself in any danger. Do not stop or hinder the normal flow of traffic.